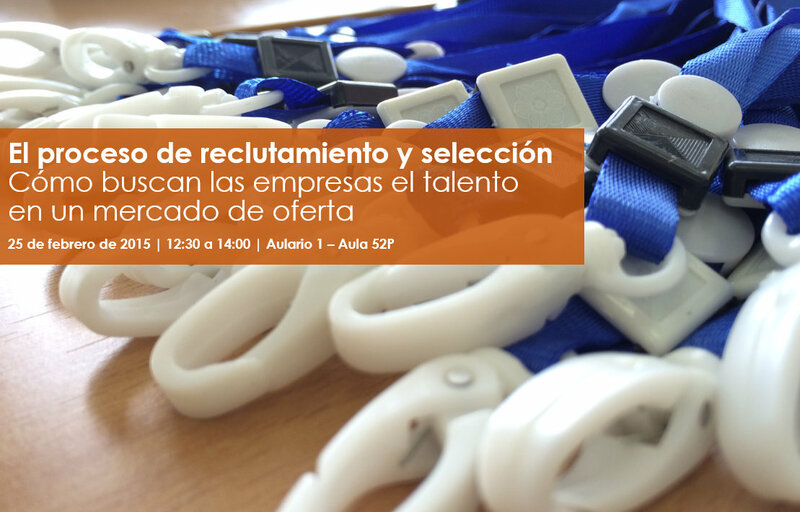 In the framework of the program improving your employability, next February 26, 2015, from 12:30 to 14:00, in the Lecture 1 - classroom 52 p, will conduct the session the process of recruitment and selection. How companies seek talent in a supply market. Through the process of recruitment and selection of human resources firms hire appropriate personnel to deal with a determninada position in the company. This process must be aligned with the company's strategy to support the fulfilment of the objectives defined in the medium and long term. This session will be taught by Silvia Esteve, a degree in law from the University of Valencia, University expert in direction of the human resources in the enterprise by the UNED and in management and human resources management from the University of Alicante. Legal specialist in tasks related to the applicable legislation in matters of personal data protection (LOPD, RD1720-2007) and in the field of services of the society of information (LSSI), law of new technologies.